This was a great year. Not because of profits but because of all the things I learned as a trader. I’ve always said that life is a perpetual learning experience and this year proved exactly that. This was the first year where I had to make the complete transition from trading OTC penny stocks to big boards (NYSE & NASDAQ stocks) as the liquidity in the OTCs evaporated this year. Since big boards are an entirely different beast, I needed to fully understand the way they trade as the OTC strategies that I spent the previous years to develop, no longer really applied here. Despite being a trader with over 4 years of experience, I had to press the proverbial reset button here due to these changes in market conditions. The key to successful trading has always been establishing consistency and I feel like I’ve gotten way more consistent as the year went on. Overall, I finished green on 87% of the days on the year. My goal for 2016 is to get that to 95% or higher as I feel that having 30 red days is way too much. However, I was on my personal best 36 green day win streak from early November to late December and only had 8 red days in the last 108 for 92% green days in that time, so I feel like I’m heading in the right direction there for 2016. Here are 3 key points that I figured out after spending the entire year creating a trading journal and logging that greatly contributed to me becoming a more consistent and improved trader over the course of the year. Discovering the high percentage niche plays and sizing appropriately into them comfortably. As I’ve discussed multiple times on my YouTube videos and on twitter, my main plays are the morning washouts at the bell for a long scalp and any panic pops at the bell for a short scalp, what I like to call the “big money plays”. Most of my money have been made on these and I don’t expect this to change. They are quick and fast money with minimal risks if done right with the correct entry. I am able to comfortably go in with some decent size on this make the quick bucks and bail. Size in moderately on the “decent but not high percentage plays”. My next plays were mid-day washouts for a long scalp and mid-day panic pops for a short scalp but with smaller size. Liquidity is generally lower mid-day vs. at the open therefore to manage my risk accordingly and to protect my gains in the morning I reduce my size on these so that way I don’t suffer a horrific loss due to inappropriate risk management but I also don’t miss out on making money on these either because I’m still profitable on the majority of these trades as well. Discover low percentage plays, plays that cause losses and blowups and AVOID THEM. This was the hardest part, but a HUGE reason why I became more consistent was because I recognize the trades that kept causing me losses. I made a note of these and eventually I was able to spot them and just ignore them and therefore not getting myself in the headaches that ensued if I were to enter a low percentage trade that would result in losses and potentially blow ups. As I figured these out, I essentially eliminated one way that I can lose. Less ways to lose = more chances to win. Simple as that. Here is a comprehensive list of types of trades that caused me to have a bad loss or blow up at some point this past year. Shorting front side of a move: I’m not going to elaborate too much on this, this is pretty obvious and has been talked about by many traders. Front side shorting is for scalps only, that’s it. Sizing big on midday news plays: It’s very tempting to go big on these because of the volatility and the potential for a big move, but the bottom line here is the risk is simply too great. 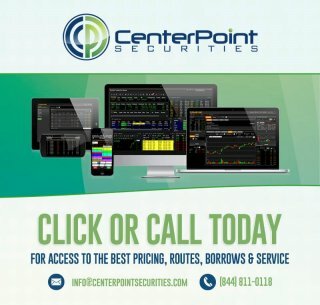 There are too many factors that are out of your control such as the timing of news releases, halts, market maker manipulation, etc… Several of my biggest losses fell into this category such as shorting ADXS on that “bad news” in September, the stock ended up squeezing everyone back to new highs unexpectedly. Now, when a stock randomly spikes or tanks on news midday I just ignore it or play very small. It’s just not worth the headache. Trading into a sideways chart anticipating the big breakout or breakdown: This is also a very tempting trade to take. Many traders will justify getting in this trade because of a “chart formation” but there’s a reason why I always advocate letting the move happen and then reacting to how it trades after that (i.e. let the stock breakout and buy dips, instead of gambling before it breakouts or chasing the move). A good example of this was BNSO in early November. Stock seemed destined for a big breakout with a chart that showed a consolidation near the highs and then it tanked. I took a bad loss on this trade as well and moving forward I will eliminate all temptations from trying to front run any move. I don’t care if it works 9 out of 10 times, all it takes is it not working 1 time and you’re going to pay a hefty price. Revenge Trading: Forcing size to make back a loss is suicidal for any trader especially when they do it and it works the first few times, which causes the trader to develop a false sense of security that this style of trading is correct. In the long run this will come back to bite you in a big way. The way I deal with this once I sense that I’m taking some bad losses and I’m losing control, I just simply leave the computer and get my mind off of trading that way I don’t continue to lose more control and subsequently more money. Treating high-institutionally stocks like they are the same as low float small cap stocks: This is something that I figured out on my own this year. Unfortunately I had to take some bad losses to realize this but I made a few videos stressing that high-institutionally owned stocks are way more manipulated due to the big players involved in it. I took some bad losses attempting my washout long at the open on high institutionally stocks such as FIT and SGYP in June before realizing that I have to trade them differently. They can dump further without a bounce or go up forever without a dip and I have to account for that. The way I trade them now is I simply scale in a lot smaller to account for the fact that they could dump more than I anticipate for a long or spike more than I anticipate for a short. I had one too many “bad losses” and mini-blowups in 2015. These must be completely eliminated in 2016. Big losses are signs that stops were not respected, too much size was used in the wrong situations, etc… I will focus very hard on avoiding all low percentage trades (identified above) to prevent this from happening. I will work to reduce the number of red days from 30 days to 12 days or less (1 red day per month only or less). This ties in with the avoiding bad losses. I will focus on recognizing high percentage plays and nailing those and ignoring low percentage plays which will eliminate losses and therefore potentially red days. This will also increase the number of winning days. I always felt that red days aren’t just days where you’re losing money, they’re also days where you missed out on the opportunity to make money, so swinging a red day to a green day has a pretty big effect on your trading performance. I will INCREMENTALLY increase my size on the high percentage plays. A mistake I used to do was go in with a gun slinging attitude and get really excited when I saw a big play that potentially could make the big bucks, but this develops a very poor mindset and causes you to assume too much risk, which will result in a major loss if you are stuck in a trade that doesn’t work out. I feel that too many traders are too short sighted and they only look at making money in the short term. Experience has taught me to realize that we need to develop winning habits in the long term so we can stay in the trading game with longevity. So rather than going from say 10,000 shares to 50,000 shares (like the old reckless version of me would have done), I will manage my risk accordingly and increase my size incrementally from say 10,000 shares to 12,500 or 15,000 shares, which is still a 25% or 50% increase in potential profits each trade, pretty substantially if you ask me. All of these goals should result in a bigger and more profitable year overall in 2016 but I will take it one step at a time and not jump the gun. The purpose of this write up was more-so a reminder for myself so that I know what mistakes were made in 2015 so that I won’t repeat them in 2016, but if this helps anyone else out there then that’s pretty awesome as well. Happy trading in 2016 guys!